On top of Steve Kehela being one of the most understanding and charismatic Los Angeles wedding officiants, he also provides a completely straightforward service that takes all of the stress out of finding a minister for your ceremony. Steve is a non-denominational minister and officiant that is able to adjust his ceremony to fit your wedding style perfectly. In fact, he also works as an actor and has starred in several TV shows as well as voiceover parts. This means you can guarantee Steve will make the entire ceremony come to life. It can be very difficult for those of the Jewish faith to have exactly what they want from their wedding and to find a rabbi that is flexible enough to adapt to these unique aspects. 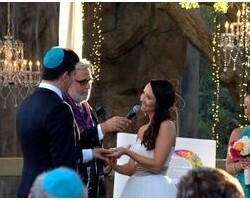 Rabbi Michael is the leading officiant for Jews throughout California and is known for really understanding the needs of couples. He is willing to co-officiate with ministers from other faiths as well as hold a wedding on a Friday or Saturday. For a tailored wedding that also contains Jewish traditions you should call Rabbi Michael. There is often a difficulty in finding a Catholic wedding minister that doesn’t come with conditions. Wedding Priest has changed this for the residents of Los Angeles. These officiants do not mind if one of the couple has had a divorce previously or if the couple would like to have the wedding in a location other than a parish church. If you are having trouble finding the religious options that will best suit your needs then you should certainly not look any further than Wedding Priest and their talented officiants. As a fully licensed celebrant and officiant, Venus has been providing her services throughout Los Angeles for many years. Her role is to get to know you as a couple and to transform a regular ceremony into something that is tailored to your exact needs. This means that you can guarantee that your wedding will reflect your personalities and beliefs. There is almost no background, philosophy or tradition that Venus hasn’t officiated for and she feels honored to have been a part of so many special moments. The previous ceremonies that Reverend Clint Hufft has officiated for serve as the perfect reviews for the quality of his service. The number of couples that Reverend Hufft has married to one another is in the hundreds and the bride and grooms have come from all over the world. 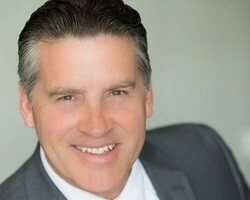 He has been providing his services as a wedding officiant in Los Angeles, CA since 1995 and has now earned the experience necessary to provide a perfect ceremony that suits each specific couple taking into account their backgrounds and traditions.